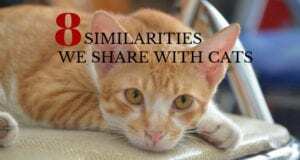 For more specifics on how to establish a good bond with your cat, refer to any of the books by best-selling author Pam Johnson-Bennett. Pam’s books are available here at our website, through your favorite online book retail site and also in bookstores everywhere. 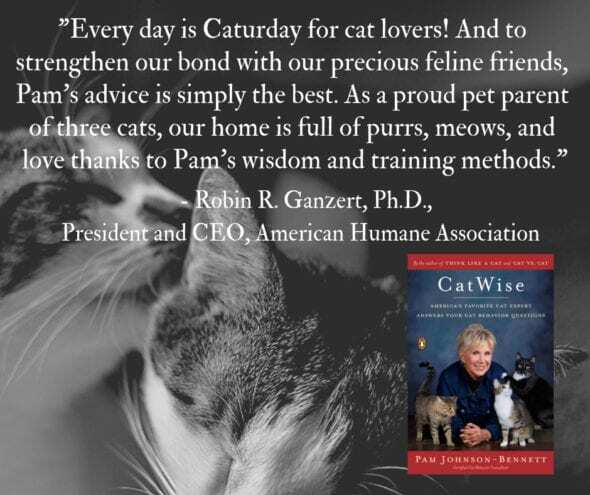 If you have a question about your cat’s behavior, you can find information in the articles on our website as well as in Pam’s books. If you have a question regarding your cat’s health, please contact your veterinarian. This article is not intended as a replacement for your cat’s veterinary care. I somewhat disagree with this article. I have a total of five cats and four of them LOVE belly rubs. The four who do love belly rubs literally roll over and sprawl out on my lap and start kneading into my arm (claws in so no scratches) and sometimes lick my arm and/or hand while I do so. If I rub long enough, they fall asleep in my arms. They will not move from their position while getting belly rubs unless I move them. I think it all depends on the cat. My older cat, I would never touch her belly since she would run away quickly, although she does not bite me, but again, my other four absolutely love it! I’ve come to this page for information because someone posted on a community page that their 2 year old child was badly scratched by a cat in a park. Turns out he was on his back and she tried to pat his tummy. So best to err on the side of caution I’d say. Apparently you are lucky. In my lifetime I’ve had 12 cats and only 2 of them liked belly rubs vs 12 dogs I’ve owned that pretty much all liked belly rubs.